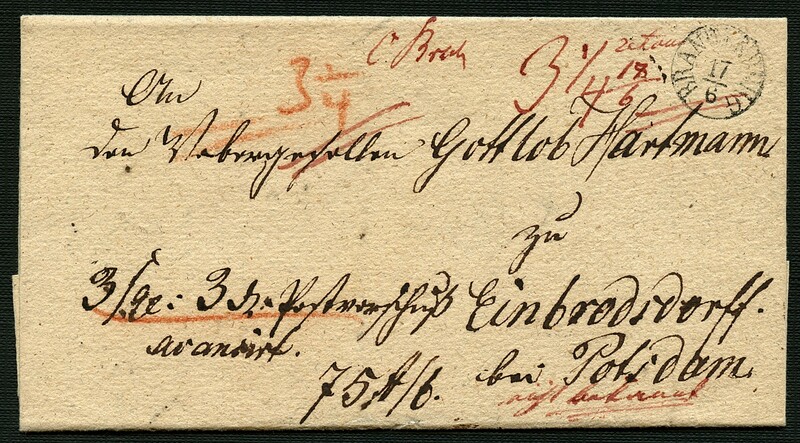 Prussia 1837, post advance payment letter from Brandenburg. 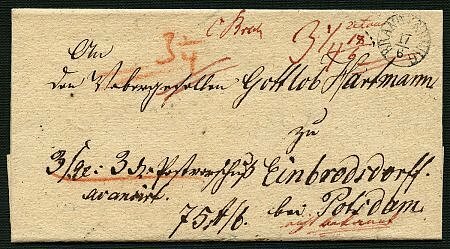 Tied by the circular cancel BRANDENBURG 17 / 6, Feuser pre philately 413-2. Various red rate markings. Reverse small black arrival postmark. Cover with content.